Seriously delicious, very soft and perfect with tea! I woke up super early because I couldn’t sleep (too many things on my mind) and well I was dreaming about having scones for breakfast. In fact I walked 10 miles in the snow to get it… well no, not really it was 2.1 miles but it felt like 10 since it was soooo cold and far! I usually like to make two separate batches. 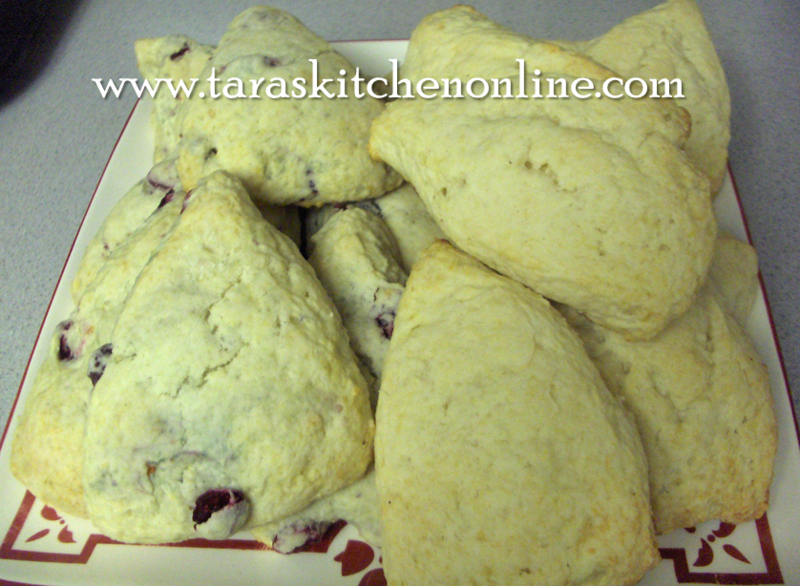 One of savory and one batch of sweet scones. Today I just made one batch and split it in half. Really I would usually take the rest of the surplus scones to work but since I am rather snowed in, one batch seemed plenty. 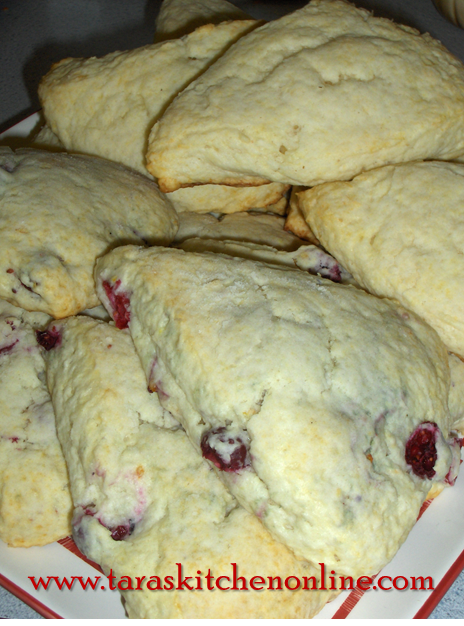 One half was orange cranberry scones and the other was freshly grated parmesan cheese scones. Both equally mouth-watering. I adapted the recipe from the CIA’s Cream Scone recipe. Cut two 10-inch circles of parchment or waxed paper. Use one to line a 10-inch round cake pan. Reserve the second piece. Sift the flour, sugar, baking powder, and salt together into a mixing bowl. Make a well in the center of the flour mixture. Add the cream to the flour mixture and stir by hand just until the batter is evenly moistened. At this point I divided the dough into two mixing bowls. In one bowl I added the cranberries and orange zest and the other I added the fresh parmesan. mix both until it form a ball. Flour your hands a little and place the dough into the lined cake pan and press into an even layer. Cover the dough with the second parchment paper circle. Freeze the dough until very firm, at least 2 hours. Preheat the oven to 350°F. Prepare a baking sheet by spraying it lightly with cooking spray or lining with parchment paper. Thaw the dough for 5 minutes at room temperature; turn it out of the cake pan onto a cutting board. Cut the dough into 10 equal wedges and place them on the baking sheet about 2 inches apart. Brush the scones with milk and sprinkle with the sugar (optional). Bake the scones until golden brown, 30–40 minutes. Cool on the baking sheet for a few minutes then transfer to cooling racks. Serve the scones warm and with tea! 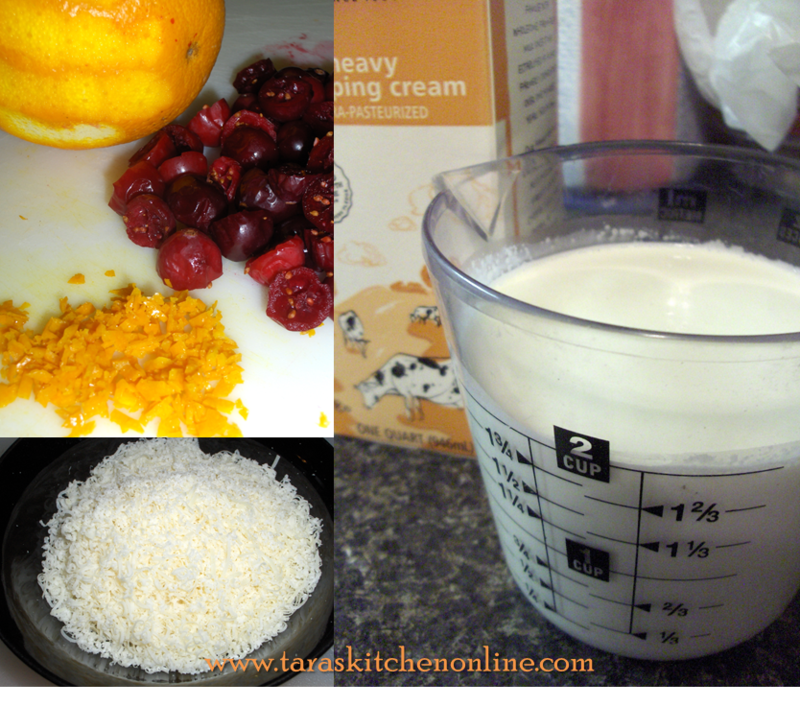 Dried Cranberry Orange Scones Add one cup of dried cranberries, orange zest to the dry ingredients just before blending in the cream. Follow the remaining method as stated above. Ham, Cheddar, and Scallion Scones Add one cup of medium-dice ham, one-half cup of medium dice Cheddar cheese or I use english cheddar (yum! ), one-half cup of sliced scallions to the dry ingredients just before blending in the cream. Follow the remaining method as stated above. Tara’s tip: Freezing the dough for longer, say 12 hours, seems to make them fluffier. Not sure why but its seems to be the case everytime.